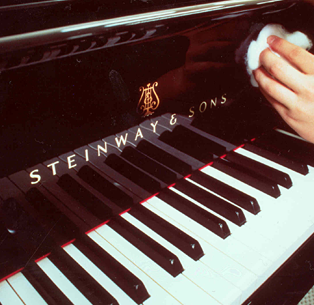 A regular service is important, and every piano owner should see this as an essential part of piano ownership. Three criteria are important for maintaining the sound of your piano: tuning, which brings the piano back to pitch; voicing, which affects the piano’s tone; and regulation, the adjustment of the action mechanism which affects the touch of the piano. 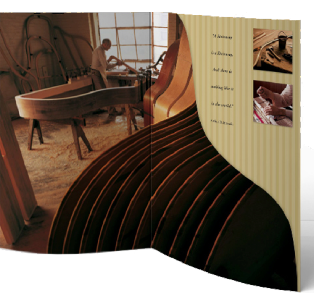 Tuning and voicing are two different aspects of adjusting the piano to its optimum standard of performance. Tuning is the adjustment of the piano’s strings to the correct pitch, while voicing is the ad´justment of the piano’s tone or sound and is done by softening or hardening the hammers – a technique that involves injecting the felt on the hammer heads with a special needle. Regardless of its original voicing, each piano will acquire a fuller spectrum of sound over time because the hammer felts become compacted the more they are struck against the strings.